On a rainy, chilly fall day, a research team made up of graduate students from the University of Pennsylvania pack up and depart from a hotel lobby in Princeton, West Virginia. It takes about an hour to get to the Elkhorn Water Plant in McDowell County, where, outside, water from an old coal mine flows swiftly down the mountain. This is the source of tap water for this district. Operators say it’s good water, that does need to be treated, but doesn’t require an intense process like reverse osmosis to get it ready for the tap. “It’s hard for someone who is not from the area to kind of get their head around some of the challenges faced without really having a chance to see the area,” Karl Russek said. He’s one of the students in the Master of Environmental Studies program at the University of Pennsylvania. Russek and his fellow students listen to a local representative of the public service district explain the massive challenges they have in maintaining these small water systems. Jared Brewster explains that a lot of these systems have been in disrepair for over 50 years, and so just getting these systems up and running properly would costs millions of dollars, and years of work. Those same challenges face water systems in rural communities all over the country, to some degree. But as Russeck notes, the problems facing water systems in coal country are worse than most. He grew up in a coal town in Pennsylvania. “I think a lot of the demographic challenges and a lot of the socioeconomic challenges are very similar to where I grew up,” Russek noticed. In their project focused on rural water systems, the team is first working to identify where existing mechanisms fall short. Replacing infrastructure is not cheap, and sometimes paying higher bills or writing a grant in a tiny community just aren’t options. “There are a lot of people doing some very hard work and some very good work, but the existing tool kit is not built to handle some of these problems because there’s just not the scale necessarily– the number of people involved, the number of customers to be able to support systems and how these projects are supported in other parts of the country,” Russek explained. Mahvish Ilyas, another graduate student working on the project, said visiting the region provides an opportunity for the students to connect some of their studies to the people it could possibly impact. “We have the opportunity of leveraging funding, starting meaningful conversations with the communities, introducing technology and creating jobs and we had a very interesting conversation with the mayor of Northfork,” she added. 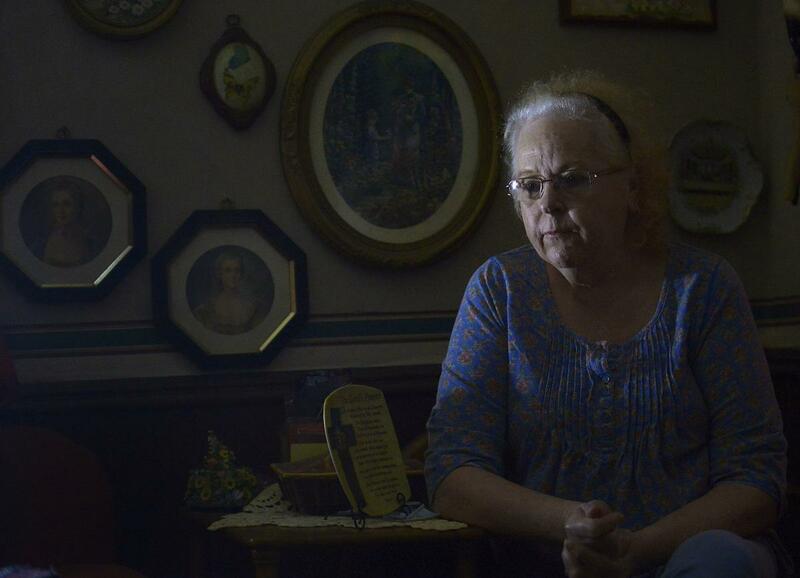 O’TOOLE — Flats of bottled water and dozens of plastic jugs filled with water from a nearby spring crowd three rooms in Janet Long’s home in O’Toole, a small hollow wedged among mountainsides and the Tug Fork River on the eastern side of McDowell County. A little more than 10 years ago, Long crossed the Virginia state line to settle in O’Toole. Now 70 years old, she has avoided drinking water from her faucets and has kept stocked up on other water sources since she arrived. It was one of the first tips she got from her new neighbors. Long’s piped-in water comes from the O’Toole Water Association. Through her decade on the system, she’s experienced a lot: discolored water that smells like “something between rotten eggs and death,” as one neighbor put it; days, sometimes weeks, with no water service at all; and leaves, dirt, bugs, trash and clumps of animal hair that work their way through the pipes when the water is flowing. For almost 17 years — 6,177 days to be exact — it hasn’t been safe for O’Toole residents to drink water from their faucets without boiling it first. A boil-water advisory issued for the system in May of 2002 has never been lifted. It probably never will be. 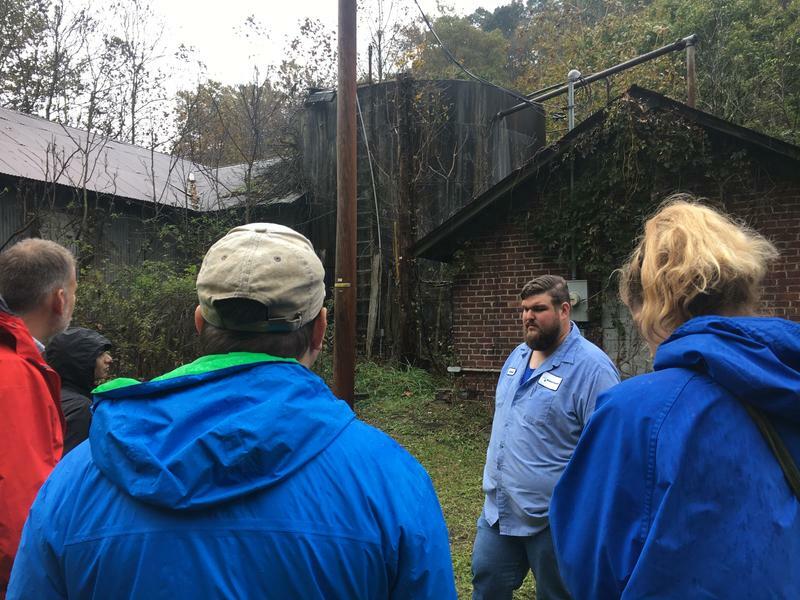 But with the help of a nonprofit group, the Keeper of the Mountains Foundation, the last 17 families still being served by the O’Toole Water Association may soon transfer to the McDowell County Public Service District. That means Long may soon be able to fill a glass with clear, odorless water from her kitchen faucet. Several households in O’Toole already decided last year to join the McDowell PSD. The benefits may be obvious, but the costs are big, especially for those on a fixed income like many of the families still on the O’Toole system, according to Pam St. Clair, who has lived in O’Toole for the last six years. Mavis Brewster, head of the McDowell PSD, estimates it will cost each household at least $500 to connect to the PSD, including a $300 tap fee, a $50 deposit and various other expenses for pipes and valves. If Long had to pay $500 today, she said, she’d have to go months without some of her medications, and cut back drastically on food and electricity. The Keeper of the Mountains Foundation, which focuses on environmental issues and sustainability in West Virginia, has stepped in to help the residents in O’Toole raise money to get off the O’Toole Water Association and onto the PSD. For the last few months, Keeper of the Mountains has brought bottled water for residents to drink and cook with. Before that, neighbors organized their own water drives, taking empty barrels and jugs about a mile up the road to a mountain spring. So far, 30 donors have raised nearly a quarter of the $7,100 goal for the foundation. Brewster said the quicker the money is raised, the sooner people can get on the McDowell PSD system and avoid what she says is the inevitable, final collapse of the O’Toole Water Association. The O’Toole system owes thousands of dollars to AEP, which could turn off power to the water treatment plant at any time — one of the many issues facing the beleaguered water system. Like many Southern West Virginia water systems, O’Toole Water Association operated as a coal camp utility when its lines were laid in the mid-20th century. There’s been little maintenance to the system since, and customers say mismanagement in recent years has exacerbated problems they’ve been dealing with for almost two decades. The water association has not employed a certified operator since at least 2002, when the original boil-water advisory was issued for the system. The association hasn’t filed an annual report to the state Public Service Commission, the agency responsible for regulating all West Virginia utilities, since 2013. The reports that are filed are sparse, with several pages left blank and operational questions unanswered. The Secretary of State’s office revoked the association’s business license in 2010. Despite all this, the O’Toole Water Association still collects, or tries to collect, money from customers. “It’s been an honor system. You use the water, you owe it, you pay it. We’ve never sent out bills,” said Crystal Coe, the association’s secretary. Paper bills, she said, are never the way O’Toole has done business. Customers are told how much they owe, then they write a check or a money order and bring it to Coe’s home. O’Toole residents say they’ve been trying for several years to get Coe and other officers of the water association to explain why service is so unreliable. For years, they’ve gotten the same answer. “They tell us, over and over, the water would work, it’d be good water, if we paid our bills,” St. Clair said. O’Toole’s water system is unmetered and doesn’t have shut-off valves, meaning residents who fail to pay won’t lose water service because it’s impossible to single out individual homes. The “honor system” Coe mentioned worked to some degree for years. The water wasn’t great (there was still no certified operator to treat it), but it was on and could be used for bathing or laundry, and people paid for it. Then, customers started seeing more days with no water. They say they were never notified when the water wasn’t on. “You get up in the morning, you try to turn on your shower, and you know it’s out. Then, you just wait. You call to ask what’s going on, you get ignored, and you wait,” St. Clair said. But they say they were still asked to pay the same. Last year, residents said, the water association tried to raise its rates, telling customers they owed more money. Rate increases for water utilities must be approved by the PSC, and in most cases will not be granted without recent annual reports filed. According to the PSC, the only cases and orders on record for O’Toole in the last 10 years are about penalties for the water association’s failure to file annual reports. As they watched board members ask for more money while dodging questions, residents grew frustrated. One by one, many did stop paying their bills. “Why would we keep paying for water we don’t get? It’s not fair at all,” Thompson said. Long paid her bill until February. She’s grown too frustrated with the constant outages, and when the water is on, she said, it’s worse than it used to be. In 2017, she said, she was hospitalized with sepsis and almost died. She believes the quality of her water contributed to the infection, and that worry hangs over her head constantly. She said she’s had rashes and cysts, and in the shower, she feels like the water seeps into her skin, like it’s infecting her. “You’re afraid you’re going to catch something, but you don’t know what it’ll be,” she said. After showers, the stench of the water sticks to skin. “We all buy bulk lotion, and you have no choice but to lather yourself with it — lots of it — when you get out so you don’t smell,” St. Clair said. St. Clair has stomach and kidney cancer, and her husband died of lung cancer about two years ago. The women said at least eight people in the small community have been diagnosed with or died from cancer in the last few years, and others have suffered from MRSA and staph infections. They can’t blame it all on the water, but they say it certainly hasn’t helped. Samantha Sargent, 22, lives next door to Thompson. She said the water used to make her sick — even the smell would make her throw up. She partly blames it for her eating disorder and her miscarriage. Her 19-year-old sister is due to have a baby boy in August. Sargent worries about her sister’s health, and her soon-to-be nephew’s. Sargent sometimes climbs to the top of the O’Toole water tank, which is uncovered, letting leaves and sticks and animals in. Once, Sargent said, she saw a dead animal floating in the top. This wasn’t shocking to her — people in the community have talked for years about a deer carcass that allegedly got stuck in there once. On Thursday, Coe stood on her porch, just a few houses away from where St. Clair and Thompson live. She said she is now connected to the McDowell PSD. Neighbors said several O’Toole Water Association board members were among the first to connect to the McDowell PSD last year, including its president, James Day, and its vice president, James Calloway. The only contact information available for the water association or its officers was an out-of-service phone number listed on its PSC profile. Coe said the water association used to test the water monthly, but stopped because there wasn’t any money. The O’Toole Water Association’s last annual report with the PSC indicated the association paid for testing in 2012, but there are no details about the testing. According to the U.S. Environmental Protection Agency, there has not been a formal inspection performed for O’Toole since 1995. In 2014, the state performed a sanitary survey which yielded “significant deficiencies” — the lowest score possible — for every category. The system accrued 427 violation points from the EPA over the last five years — the fourth highest amount for any water system in the state. The association has also operated under a boil-water advisory longer than any other water system in the state, a fact that several residents were not even aware of until 2014 — 12 years after it was originally issued. While the problems facing O’Toole may seem extraordinary, Brewster, with the McDowell County PSD, said they’re really not. “There are communities throughout Southern West Virginia, especially here in McDowell, dealing with similar situations,” she said. The McDowell PSD has tried to bring in those systems when it can and offer help when it can’t, she said. The PSD now runs 17 water systems in McDowell County. St. Clair and other O’Toole residents say that’s not an issue — they can’t afford the lump sum due for connection fees, but they aren’t paying monthly bills now because of their experiences with the water association.